S.A.C. 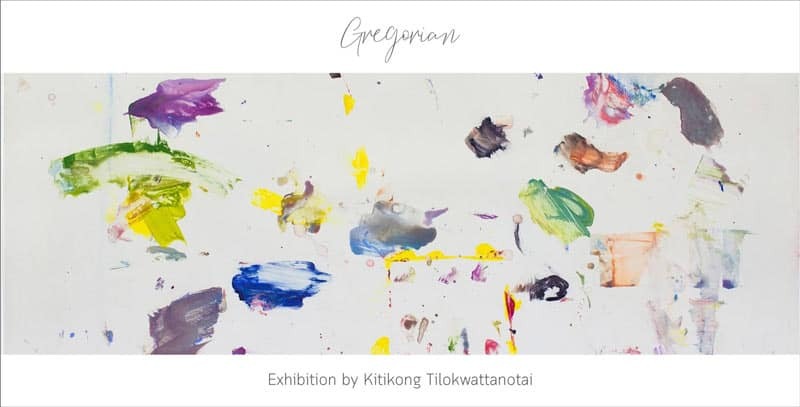 Subhashok The Arts Centre is proud to present Gregorian, a solo exhibition by Kitikong Tilokwattanotai in August 2018 showcasing his new series of works. You are cordially invited to join the opening reception on 16th August 2018, 6:00 PM at S.A.C. Subhashok The Arts Centre, Sukhumvit 39, Bangkok. Kitikong Tilokwattanotai was born in Lampang, Thailand in 1978. Currently lives and works in Chiangmai, Thailand. Tilokwattanotai works in print media, painting, mixed media and collage. Graduating from Chiangmai University with a B.F.A. (Printmaking) in 2001, Tilokwattanotai relocated to Sydney, Australia in order to complete a Master of Art(Printmaking) at the University of New South Wales Arts and Design in 2003. Subsequently, Tilokwattanotai came back to work as a printmaking lecturer at Rajamangala University of Technology, Chiangmai, during 2004-2014. Tilokwattanotai is the founder and director of Chiangmai Art On Paper – an invitational custom printing studio and gallery which collaborates with Thai as well as international artists in the production of print works. He has held solo exhibitions in Thailand, Germany, Japan, USA, and Australia as well as being curated in many international group exhibitions. Tilokwattanotai’s works look at graphic representations of text and alphabet. By abstracting calligraphic marks Tilokwattanotai attempts to ﬁnd beauty in written language. His works are held in several private and public collections including TISCO Art Collection, Rachamankar Hotel, UNSW Arts and Design, Chiangmai University. 19 สิงหาคม เวลา 14:00 น. – 17:00 น.